DAVID LE/Staff photo. 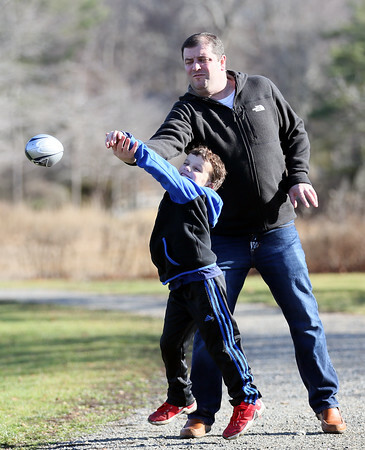 Six-year-old Henry Van Faasen, of Manchester, knocks a pass away while defending his father Bill Van Faasen, while playing catch at Masconomo Park in Manchester on Saturday morning. 12/26/15.